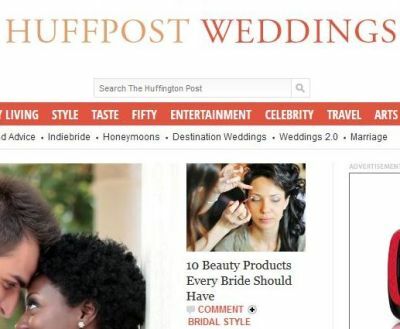 Wrote a story for the Weddings section of Huffington Post this week called The Top 10 Beauty Products Every Bride Should Have In Her Bag. Want to know something? I own and use them all. (And I haven’t been a new bride since…well, since a very long time ago.) They’re the perfect, pretty, long-lasting products to get any woman down the aisle in style. But trust me when I say that she’ll want to use them long after the party is over. A few I’ve written about here before; a few I haven’t. But some things bear repeating…. I was as thrilled as anyone when high-def technology hit flat screens a decade ago; but let’s just say that news anchors weren’t exactly jumping for joy at the prospect of having every wrinkle, crevice, pore, and “smile line” take a front row seat on the six o’clock news. To counteract the they-see-everything problem, companies began launching a range of foundations and powders that help reality disappear with the sweep of a brush or the mist of an airbrush device. Be it CBS or CVS, it took all but a minute for everyone else to realize that these products do a good job of erasing imperfections in real life, too. 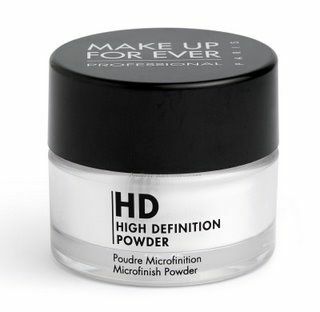 It wasn’t until I had to do a TV appearance — and the producer hit me with a fluffy cloud of HD Microfinish Powder moments before I went on set — that I became a true convert. This extremely fine-milled, one-shade-fits-all product is virtually invisible to HD cameras, wedding videographers, and the naked eye (of reception guests, that is). With one stroke of a fluffy brush, the oddly white-ish particles become undetectable, set your foundation, matte the finish, and put you in beautiful soft focus…perfect for those photos that you’ll be looking at for years to come. 8.5 oz, $34; available at Sephora.com. When the early, silicone-based face “coatings” hit the market, they slicked on like Crisco to a Bundt pan, enabling foundation to slide on with the greatest of ease. Did the vaguely chemical-smelling ingredients fill in some of the rough road caused by blemishes, wrinkles, and uneven skin texture? Sure, but they also left my face with an uncomfortably greasy trail, which seemed to take on more and more shine as the day wore on. This side effect, as you can imagine, did not a beautiful bride make. It also did not a beautiful beauty writer make. Trust me on this. But the trend has led to new, more refined primer introductions. 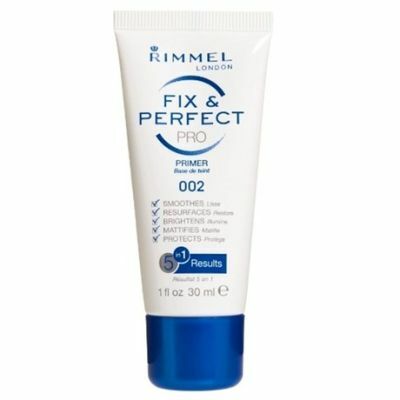 And I recently fell in love with Rimmel’s Transparent Primer — a tube of lotion that seems to have just enough slickness to give foundation and concealer super glide-power (I can only describe it as dancing in socks on a shiny hardwood floor), yet not so much that you want to wash with car-mechanic soap after the cocktail hour commences. Bonus: It actually smells good. Bonus bonus: It’s affordable. 1 oz, $8.49; Drugstore.com. Put the word “long lasting” in front of most glosses, and you’ve got something that either stains your lips like an oven-roasted beet, or involves a two-step process that starts with a slippery base coat of color, and finishes with a clear coat, which turns bulletproof before you can say, I do. In my experience, the products feel lousy on the lips…and both tactics will require a bride to employ industrial-strength (lip-parching) makeup removers in the honeymoon suite. 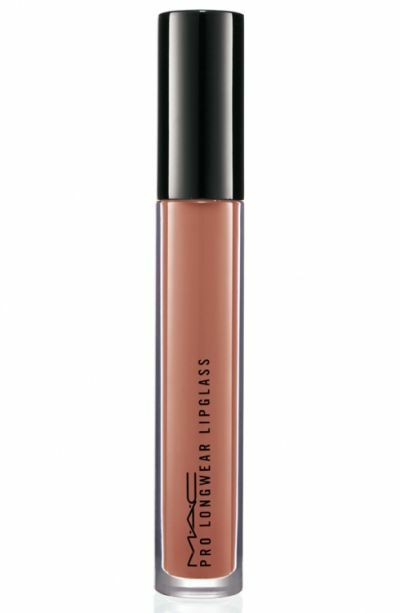 Lipglass, on the other hand, bypasses the dying-and-sealing maneuvers, so you get a rich, highly-moisturizing, glossy finish that somehow — and I couldn’t explain it if I tried — stays put for hours and hours, yet wipes off with a tissue when you’re ready to go au naturel. My favorite pick: Ready or Not!, a lovely, not-at-all-saccharine shade of beige-y peach that flatters most skin tones and is oh-so aptly named. .06 oz, $22; Maccosmetics.com. Gel manicures — most notably, CND’s “Shellac” — have revolutionized the mani market over the last few years. The stuff goes on like regular polish, but gets sealed under a UV light, rendering the service both quick (almost as fast as a regular manicure), and nearly as long lasting as a set of acrylics, minus the damage. The downside, though, is that paying for the constant, bi-weekly pro service gets pricey; the average cost of a salon gel mani runs about $40. So when Sally Hansen launched its Salon Gel Polish Manicure Kit a few months ago, my curiosity was piqued. This stuff is quite something: It took me all of 10 minutes to polish 10 digits, and that included pushing back cuticles; wiping each nail with an alcohol-soaked cotton pad; stroking on a base, color, and top coat; plus spending 30-seconds under the lamp after each application. (Note: You can cure a whole hand at a time.) Afterwards, you simply wipe each nail again with the alcohol-soaked pad, which gets rid of a sticky residue that’s part and parcel of the procedure. I am not kidding you when I say this stuff is the real deal — it holds up like the best of them, and is affordable enough to keep your hands swanky from engagement all the way through the honeymoon. Starter kit, about $70; Target.com. 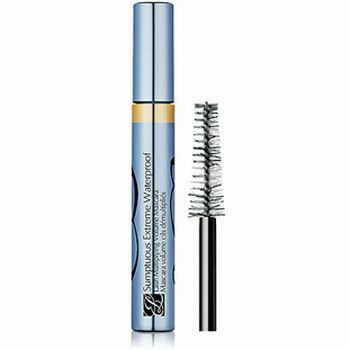 But someone at Lauder waved a magic mascara wand when they created Sumptuous Extreme, a luxe, almost creamy product that slips onto each lash so quickly and easily, it’s literally a cinch to lengthen, volumize, and brighten your eyes without tell-tale clumps or the need for endless coats of mascara. Better yet, the formula has a unique sheen, so lashes end up glossy not matte. $26; Esteelauder.com. Hair takes center stage not just on your wedding day, but at engagement celebrations, showers, bachelorette bashes, rehearsal dinners, you name it. And for those occasions, most folks want a hairspray that locks things in. That’s not so hard to find. What is hard to find is a product that not only provides staying power, but allows for a certain amount of swing, so your entire head of hair doesn’t move as one. (Or worse, break when introduced to a comb or brush.) 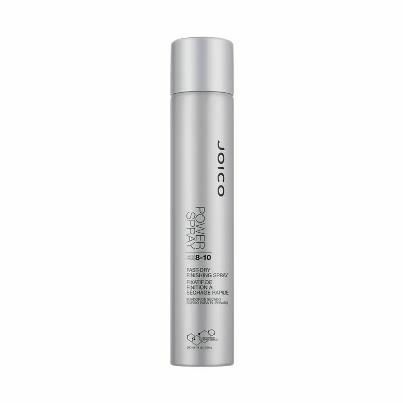 My answer to this problem is Joico’s new Power Spray: It utilizes a technology known as AquaLastik, delivering a unique slip that allows even the finest, frizziest strands to move, while holding your blow-dried style in place, providing UV protection, and throwing in a handy humidity fighter. The bonanza here? Unlike most hairsprays, it can be reapplied over and over — no caking issues to be had. (I spritzed once and achieved a Level 8 hold; spritzed two more times, and had hold that would stand up to the wind on Kauai’s windiest beach resorts.) 9 oz, about $17; Joico.com. 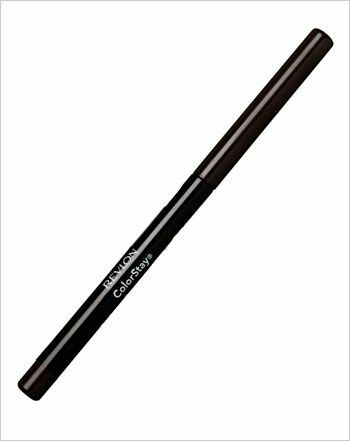 You can invest in a highbrow pencil, but you’re going to ask yourself why when you take a look-see at this humble little liner. You get a twist-up stick (no sharpening required), and a velvety formula that you can easily blend, smudge, and smoke without losing any of the long-wearing (16-hour) intensity. It may be the most unpretentious, no-frills item in my makeup drawer, but it’s everything a bride could need, minus the fancy-schmancy packaging. 8 colors, $7.49; Ulta.com. Speaking of blending and smudging, you’ll also need a brush that has the dependability of a professional makeup artist, eliminating any possibility of the raccoon look . 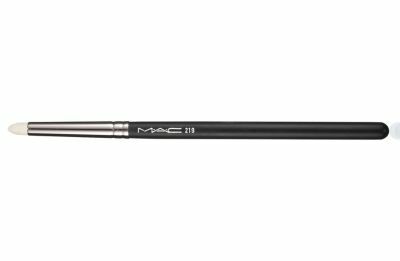 MAC’S 219 is a favorite, and considered THE tool for creating a smoky eye — it provides an unusual bristle combo of fluffy and pointy, so I can get right down into that lash line and soften liner with just one or two quick passes of the brush. Plus, the bristles are white, so you’ll easily see just how much product you’ve loaded onto the brush. $25; Maccosmetics.com. At first glance, you’ll think sunscreen, not makeup. That’s because this foundation comes in a funky little turquoise, plastic bottle that looks every bit like something you’d throw in a beach bag rather than a bridal bag…which is precisely what I told my beauty-loving friend when she first raved about the stuff to me. (In fact, it does get thrown in beach bags; the product has a cult-like following among pro surfers and snowboarders.) But if you relegated Shiseido’s foundation to the beach, you’d be missing out on an opportunity to achieve seriously-perfect, pore-free coverage, almost like you’re under a soft-focus camera lens; I swear it looks exactly the same eight hours after you’ve applied it. Throw in the fact that this foundation has an SPF of 42 (perfect for outdoor weddings), and is smear, smudge, and streak-free, and you’ll forgive the oddball packaging…and the necessity for a semi-speedy application before it “settles in” for the day. (Hint: Use a brush.) 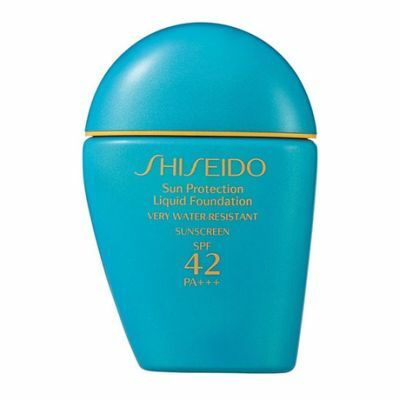 1 oz, $35; Shiseido.com. If you’re not on a first-name basis with Aerin, the new eponymous makeup line launched by Estée Lauder’s style-setting exec/granddaughter, you’re going to want to do a meet-and-greet very soon. It’s hard to pick just one product that’s bridal-bag worthy here, because her entire Essentials collection seems tailor-made for weddings and vanity tables: diminutive gold packaging, freshly neutral colors, and a pared down, perfectly edited stash for your bag. But that said, you need to get your hands on her Rose Hand and Body Cream — a silky tube of moisturizer (so pretty, it’s literally display-worthy), delivering velvety-soft skin and a delicate rose scent that won’t compete with your bridal bouquet. After the honeymoon, I’m betting you — like me — will keep a tube in your car at all times. 4.2 oz, $40; Estéelauder.com.